The village of Steveston is always brimming with life during the long summer days, but when winter is close by and the colder air settles in, the polar opposite occurs. After my unsuccessful three-hour hunt for a small laptop case all around Richmond, I arrived at the village shortly after 6 p.m. for dinner. It was cold, dark, breezy and eerily quiet. The only sounds to be heard were the soft whirs of empty buses rolling away into the distance. Fortunately, it wasn't too difficult for me to locate the characteristic dark red awnings of the restaurant since they were one of the very few things that were lit up. Ichiro is a Japanese-run restaurant and the three sushi chefs greeted incoming customers in Japanese and conversed among themselves in Japanese as well. The restaurant, unlike the rest of the town, was full of life and completely filled with customers along with a few reserved tables, so the bar was all that was available in terms of seating. From looking at the menu, I inferred that Ichiro focuses on the more traditional type of Japanese food so for the most part, I stuck with ordering traditional items. Well, things started off excellently with the Amaebi Sashimi, a plump, juicy shrimp with a meaty texture and a delicate, sweet taste. The Hotategai Sashimi (scallop) was small and as soft as cotton, while the Tako Sashimi (octopus) was chewy and cut more generously. The Sockeye Salmon Sashimi was remarkably fresh and had a distinctive salmon flavour to it. The Tuna Sashimi had a well-balanced, predominantly salty flavour and the Red Tuna Sashimi exhibited a nice, rich dark red hue, though it tasted virtually identical to the Tuna Sashimi. The Shima-aji Sashimi (Japanese striped jack) tasted and looked a lot like fresh tai (snapper), but is softer and has a more slippery texture than tai. Next, I ordered the Ume Set, which consisted of assorted tempura, chicken teriyaki, miso soup, California roll (3 pieces), Dynamite roll (3 pieces), goma-ae, and sunomono. 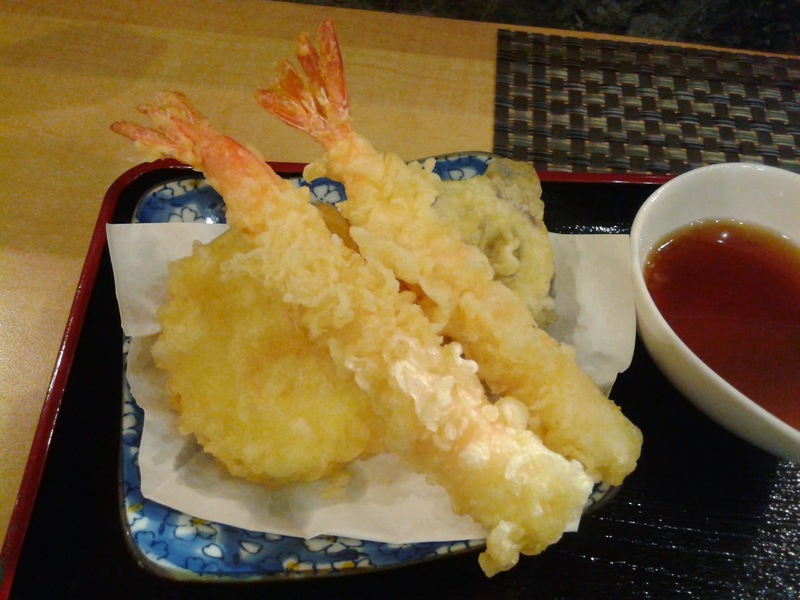 When I first walked into the restaurant, I noticed the aroma of well-executed tempura from others who were having it and I decided that I must give it a try. 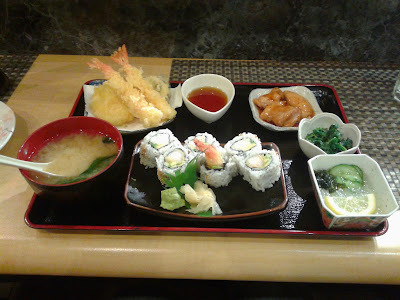 Indeed, the tempura was one of the best I have had in a long time. The batter was crispy and adequate, and in no way did it take away from the flavours of the inside ingredient. The prawn inside the Prawn Tempura quite large, while the yam gave a sweet burst of flavour and was sliced thin (which I prefer). The Eggplant and Zucchini Tempura were both juicy and delicious. 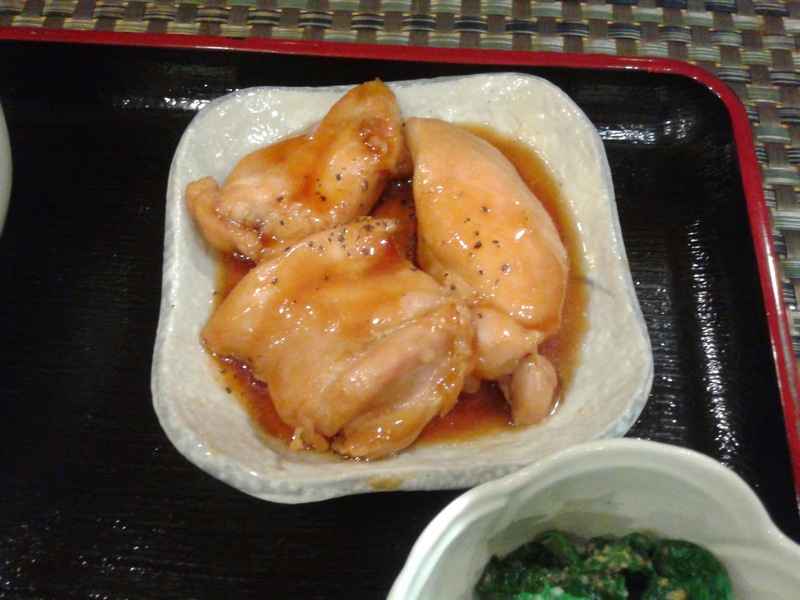 The Chicken Teriyaki was a very simple dish consisting of three large, tender pieces of chicken dressed in a mild teriyaki sauce. The pepper sprinkles were mostly a visual effect as there wasn't enough of it to be noticed in terms of taste. 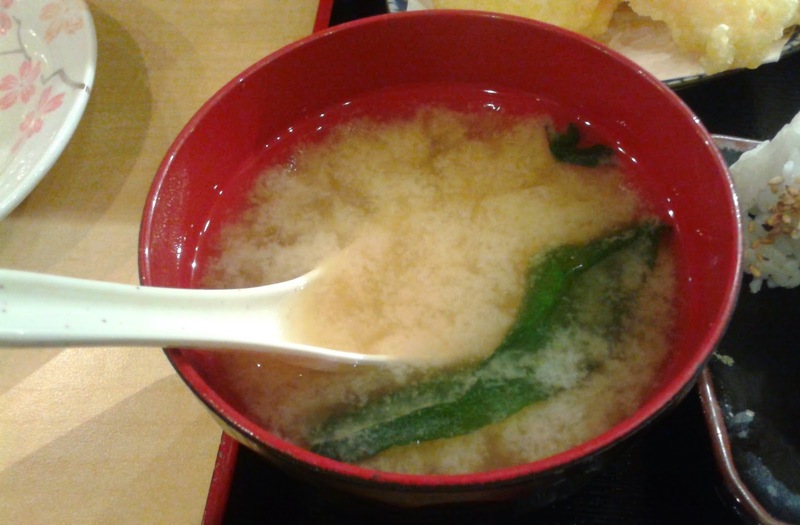 The Miso Soup was neither too salty nor too watery. It had a nice smooth texture due to the finely ground miso paste used. 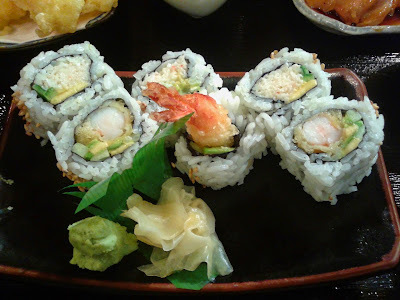 The California Roll had some imitation crab meat that tasted quite realistic to me, and was ground into very fine pieces. It had a little too much mayonnaise, making the strands of crab meat too creamy. The Dynamite Roll had a large, meaty piece of shrimp in the center (just like the Prawn Tempura), and had a good balance of ingredients along with some fresh avocado. 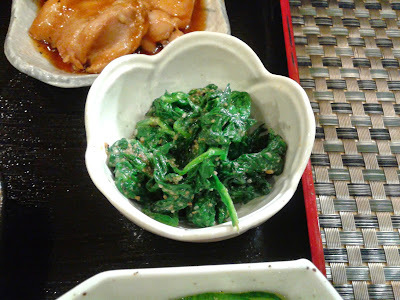 The Goma-ae consisted of delicate, small pieces of baby spinach dressed with a sesame sauce. I liked how the sauce was applied in just the right amount and evenly spread throughout the spinach. 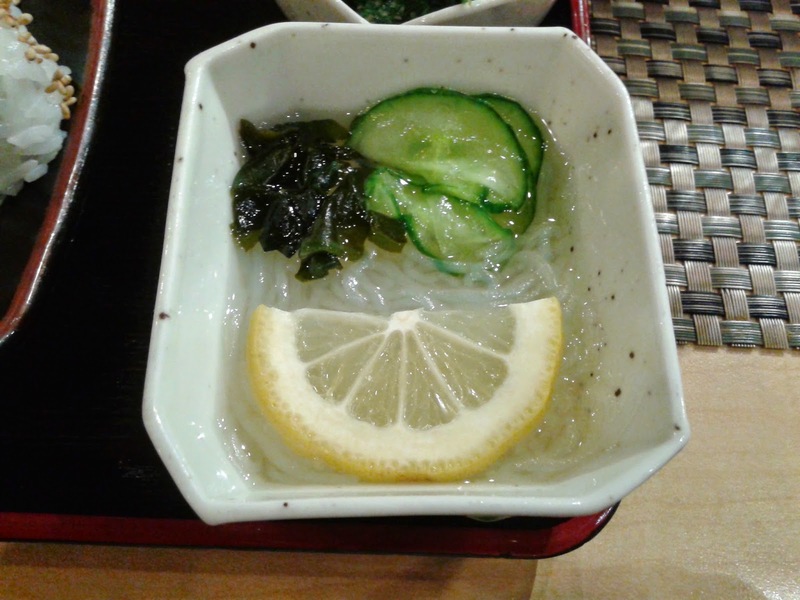 The Sunomono consisted of vermicelli, garnished with lemon, seaweed and cucumber on top. It had a very subdued lemony, vinegar-y taste. I prefer sunomono with more of a vibrant, sweet vinegar punch to it. ... but how could I resist ordering such a brilliantly presented Dragon Roll? It had small seeds for eyes and green tea soba noodles sticking out of its head for antennae! 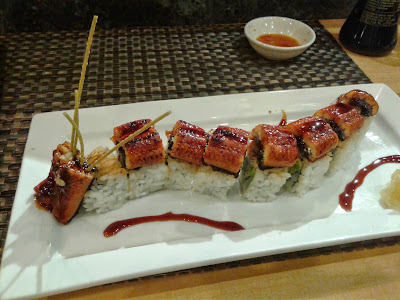 The unagi (eel) on top was tastefully grilled, giving off a savoury, slightly smoky taste. It was also quite thick, so the sauce from it managed to help bring out the flavours of some of the ingredients inside the roll, which consisted of imitation crab, asparagus and avocado. My only wish was for the inside of the roll to be less cold, so there wouldn't be so much of a contrast in temperature between the warm unagi and the cool asparagus and crab. I found the service quite friendly, but the restaurant was very busy, so it was a bit sparse at times. The tempura and the sashimi were the highlights of the meal, though I can imagine that there are many other unique items that might be worth trying, such as the crab dinner set. 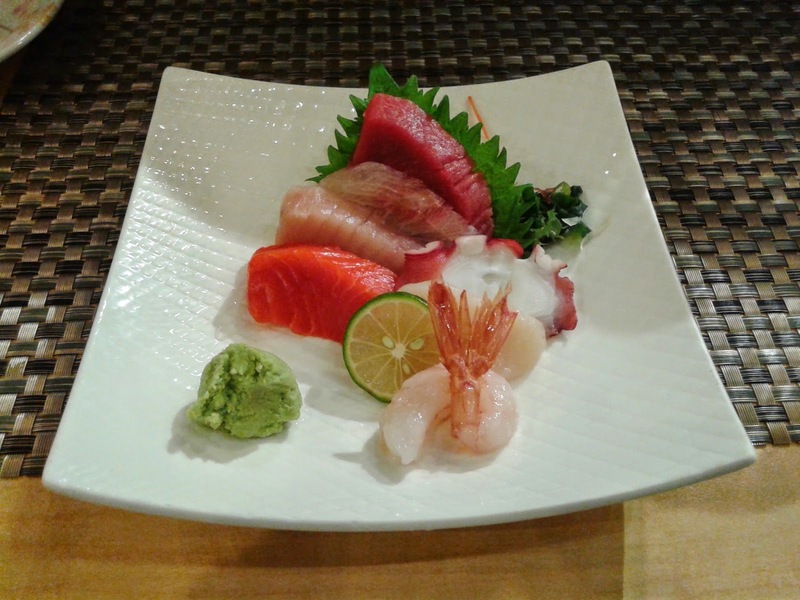 They also use top-quality ingredients and have a very large selection of nigiri sushi and sashimi, with some items imported from Japan. 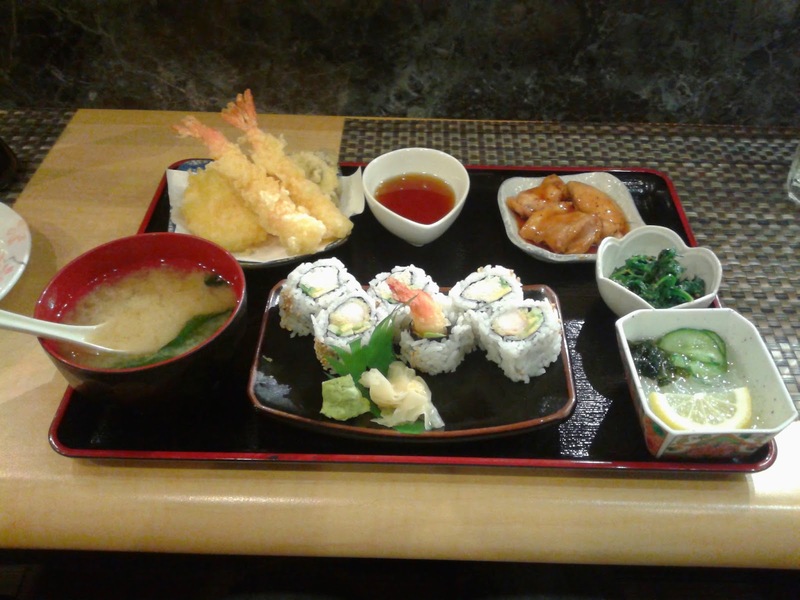 However, the lofty price tags can limit your choices and it is most certainly quality over quantity at Ichiro. As a consolation prize, I got a 10% off coupon for my next visit. At least I got myself full with just over $60 (and you'll probably spend less than me)!